Got a pond, or a ditch running through your property, or what used to be your property? The Occupier of the Oval Office has signed an order that would limit your ability to do what you want to do on your own land, just because that creek, pond, or mud-puddle is now protected by the Federal Government. http://beforeitsnews.com goes into detail concerning this potential land-grab by the Feds. Beware of the Socialist Thugs at the EPA, they are in full support of Obama's order to control the water sitting on, or running through privately owned land. Beforitsnews.com reports that the Fed's could actually seize private property in the name of protecting the 'Waters of America'. This is just another step toward a Communist takeover of our nation, and the implementation of Socialist Governmental System whereby, you and I will no longer privately own anything, and everything will become the property of the Government, and we will no longer have the freedom to profit from our labors, or the liberty to do what we want to do. Defining Communism - Yesterday it was your right to affordable health insurance, and your access to you doctor. Today it is your pond, creek, stream, swamp, etc. Tomorrow it will be your house, the property it sits on, your business, and anything else you now own the Government will take ownership of, and if your lucky you might be able to use it. Oh and forget about being able to buy and sell your stuff, because it's not yours anymore, and you no longer have the right to profit from it. With our Capitalistic System the opposite is true. You were always able to choose for yourself what doctor you wanted, what health insurance provider you wanted, etc. You still at least until the EPA shows up your door, have the right to do on your property as you will, and it's your land that you can sell if you please, and pocket any profit from it, as long as you pay the taxes incurred in the sale. With Capitalism, what is mine, is mine, and I will thank the Fed's to keep their greasy hands off of my stuff! I can only hope come 2016 that we are able to elect a real conservative leader while keeping the House and Senate, and repeal all of Obama's stupid executive orders, cut the powers of the EPA way down, along with TSA, and other out of control Government agencies. We need a real house cleaning in D.C., and I am hoping Ted Cruz will live up to his promises to undo as much of Obama's damage as he possibly can. I am all for having clean water, but not at the expense of personal freedom. I am all for having a safe nation to live and work in, but not at the expense of my personal liberty. Liberty is the most essential right we have as human beings, and citizens of America. We must stand and fight to preserve them, and instruct the younger generations why so many died to secure and defend this liberty, this freedom that we have enjoyed for so long. If liberty was worth dying for in the beginning of this nation, it is worth dying for now as well. 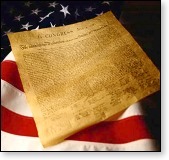 If those men who signed the Declaration of Independence were willing to pledge their very lives, fortunes, and their sacred honor to defend their God given right to be free, why are men not willing to do so today? Have we grown that apathetic that we no longer care about the cause of liberty? Have we now heard the sound of the trumpet blast awakening us from our sleep, to rise again to defend our freedoms? Or are we as a nation wasted to the point where we are willing too surrender what is left of our freedom, and allow ourselves to become the slaves and victims of a totalitarian state? I pray not! Let us return to the God of our forefathers, let us as a nation repent of our sins, turn from them and humble ourselves before the Almighty, and cry and weep for his hand of mercy to fall upon us once again. I pray so!